Dental bridges are a versatile option for replacing missing teeth and restoring a healthy bite. Bridges are composed of several artificial teeth bonded together to bridge a gap caused by tooth loss. 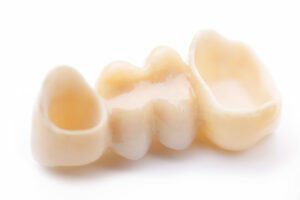 Some dental bridges are removable, and others are fixed into place using porcelain crowns or dental implants. Depending on the condition of your mouth, Dr. Ciampi and Associates will help you decide which type of bridge will work best for you. The results that can be achieved with dental bridges appear natural and provide excellent support for maintaining a healthy bite. Generally speaking, bridges are a relatively inexpensive tooth replacement option that may be covered by dental insurance. For further information about dental bridges, contact our Spring Lake practice today.